Beginning in July, the voting membership of the IEEE Power & Energy Society (PES) will have the opportunity to elect our future leadership. The offices of PES President Elect, PES Treasurer and PES Secretary for 2018 – 2019 will be decided. The candidates are presented together with their photos, biographies and candidate statements. Click here to cast your vote securely. Christopher Root has over 30 years of utility operations and engineering leadership experience. He is currently the Chief Operating Officer for Vermont Electric Power Company in Rutland, Vermont, USA. He is responsible for the engineering, construction and operation of the transmission system in the state of Vermont, USA. 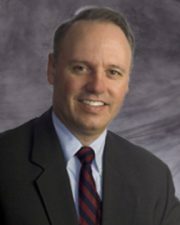 Previously, he was the Senior Vice President at National Grid USA. He held many leadership roles in Transmission and Distribution Operations, Engineering and Construction for operations in four Northeastern US states. Mr. Root has a BS in Electrical Engineering from Northeastern University and a MEng in Electric Power Engineering from Rensselear Polytechnic Institute. He attended the Program for Management Development at the Harvard Business School. Mr. Root is a registered Professional Engineer in the states of MA and RI. He is a member of the CIGRE US National Committee and a Senior Member of IEEE. Mr. Root is currently the elected Treasurer of the IEEE Power and Energy Society and is finishing his second two year term. He has been on the Governing Board since 2007, serving as a Member at Large and as elected Secretary (4 years). He is on the Editorial Board of the Power and Energy Magazine. He has been on the Long Range Planning Committee (LRP) of the Governing Board since 2006 and is the Chairman of the PES Leadership in Power Award Committee. He is also the Chair of the Governing Board Finance Committee. Mr. Root was instrumental in re-invigorating the Boston PES Chapter which was dormant in 2007. He organized the first PES chapter in the state of Vermont in 2014. He was awarded the 2009 Outstanding Engineering Award by the Boston Chapter of the Power and Energy Society. He was the Chairman of the Local Organizing Committee for the PES ESMO Conference and Exposition in Providence, RI in 2011. He is a Senior Member of IEEE and has been a member since 1983. He has given many PES technical presentations throughout the world on various utility topics and has co-authored several technical PES papers. I am a candidate for PES President Elect in 2017 because I believe that strength of the utility industry is the engineers and technical leaders who work and support this critical infrastructure around the world. I became active in the leadership of the Power and Energy Society almost 10 years ago because I felt that having a utility executive’s experience in the governing of the society was important. Having been a practicing utility engineer and manager of engineers, it is important to balance the needs of this group while appreciating and supporting the important roles of our academic, consulting, regulatory and manufacturing global communities. I believe that as our industry deals with a changing grid, PES can play an important and relevant role in outlining emerging issues, publishing new technical breakthroughs, training a new generation of utility engineers, debating various new technical ideas and creating our industry’s standards. I ask for your vote for President Elect so we can continue this evolution. Frank Lambert is a Principal Research Engineer and the Associate Director of the National Electric Energy Testing, Research and Applications Center (NEETRAC) at Georgia Tech. He has more than 43 years of experience in transmission / distribution system design, construction, operation, maintenance, automation, and R&D and is responsible for interfacing with NEETRAC’s members to develop and conduct research projects dealing with transmission and distribution issues. Frank was part of NEETRAC’s management team at its launch in 1996. Previously, he was Distribution Manager at Georgia Power Company responsible for AM/FM/GIS, Distribution Automation, and Construction Management Systems. 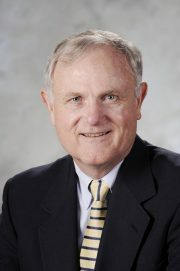 During his career with Georgia Power, he served as a field Distribution Engineer, field Transmission Engineer, Research Engineer, Network Underground Test Supervisor, Research Manager, and Manager of Network Underground. Frank received his BEE and MSEE degrees from the Georgia Institute of Technology and is a registered Professional Engineer in Georgia. Frank has served on the PES Governing Board as VP of Chapters since 2014, where he is responsible for providing support to 244 local PES Chapters and 240 PES Student Branch Chapters in Regions 1 thru 10. During this time, 21 new PES Chapters and 107 new PES Student Branch Chapters have been initiated. Prior to his present PES duties, he served as Region 1-7 Representative on the Governing Board from 2010 – 2013 and Region 3 Representative from 2007 – 2009. Frank was Chair of the Atlanta PES Chapter when it was named Outstanding Chapter of the Year in 1994. Frank has also been actively involved in PES Technical Activities since 1982, serving on a variety of Working Groups in both the Distribution Subcommittee and Switchgear Committee. He was most recently Vice Chair of the WG for C37.302-2015 and a member of the WGs for IEEE 1695-2016 and C37.41-2016. He is also actively participating in the Scholarship+ and Smart Village Programs. Our most important mission is to address the unprecedented changes to the grid required to successfully integrate renewable resources and energy storage. These advances in technology have also given us a great opportunity – bringing electricity to the 1.2 billion people who are living in the dark. Engaging the Next Generation of Students and Young Professionals in our Society. Facilitating teamwork with our academic and practitioner members to develop standards to integrate renewable resources / storage into the grid while improving reliability and resiliency; lowering costs and maintaining safety. Providing high quality education services and publications to drive the research and deliver actionable results, products and standards to the industry. I look forward to continuing my work with our Governing Board and PES members in Regions 1 through 10 to address these challenges for the benefit of humanity. Nirmal Nair received BE in Electrical Engineering from Maharaja Sayajirao University, Baroda, India in 1990 and ME in High Voltage from Indian Institute of Science (IISc), Bangalore, India in 1996. After a decade of professional engineering and lecturing, he relocated to United States where he completed PhD in Electrical Engineering from Texas A&M in 2004 after which moved to New Zealand (NZ). During his career Nirmal held various industry, research and academic positions. 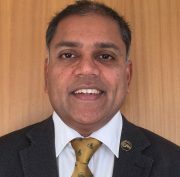 Currently, he is Associate Professor at University of Auckland engaging with generators, distributors/metering, retailers, system operator, regulators, vendors and engineering associations through consultancy and PES/CIGRE activities. His contributions are in protective relaying, electricity markets, blackouts and resilience. He is passionate about life-long-learning, energy policy, innovation and energy media outreach. He is generally a stickler for details. In addition to PES roles, he is Secretary for CIGRE NZ and represents NZ in SC B5 (Protection and Automation). Nirmal connected as IEEE student member during1989-1990. During early career, he used PES relaying standards and Transactions for HV impulse testing. Attending 2001 PES winter conference, he reconnected as Graduate Student member and ever since PES is his “professional home”. He has been contributing through various Chapter, Section and Regional volunteer roles. PES is strong financially and has ambitious plans to grow. Since 2011, being Constitution and Bylaws Chair and Long Range Planning member, I understand dynamics of Governing Board which is important for Treasurer. It will ensure continued momentum of Board’s vision/commitments and guides prudence of not stretching too thin to ensure financial sustainability with available revenue streams- publications, conferences and membership. Having led IEEE conferences making overheads, I understand IEEE finance, accounting & compliance. Since my leadership of Life-Long Learning activities, I have elevated Tutorial’s profile such that in 2017 the acceptance rate is 33% with increased registration. Tutorials /workshops are important products to support success of “PES University” initiative. Based in R10, I bring global perspective to the Board and since I strongly believe in local activities will help promote initiatives benefitting grass-root members. I believe it is important to have a Treasurer who understands the dynamics/passion of PES international Board members and has experiences of generating revenue and sustaining our values. I hope you will agree and vote me to serve PES. Dr. Nouredine Hadjsaid received PhD and the “Habilitation à Diriger des Recherches” degrees from Grenoble Institute of Technology in 1992 and 1998 respectively. He is presently a full professor at Grenoble Institute of Technology where he conducts research at G2ELab, a joint laboratory between the CNRS (French National Scientific Research Council), the Grenoble Institute of Technology and the University of Grenoble Alpes. Dr. Hadjsaid was previously the General Director of the common academia-industry research center between EDF, Schneider Electric and Grenoble Institute of Technology (IDEA: Inventer la Distribution Electric de l’Avenir) on Smartgrids from 2001 to 2013. He was also the President of CRIS International Institute from 2004 to 2006, the French co-representative at IEA – ENARD implementing agreement from 2009 to 2012, and the chair of IEEE ETCC committee from 2013 to 2016. He is presently the Deputy Director of G2ELab, the Director of an ENEDIS Industrial Chair of excellence on “Smartgrids” and the Chairman of Scientific Council of “Think SmartGrids” France, a French national association that gathers industry, academia, regulator, government and national agencies actors on Smartgrids. He is also the vice-chair of IEEE IGETCC (Intelligent Grid and Emerging Technologies Coordination Committee), the French representative at International Energy Agency for ISGAN-SIRFN Annex, and associate editor for IET Generation, Transmission & Distribution and Book collection Director at ISTE. He was the General Conference Chair of IEEE PowerTech’2013 held in Grenoble-France, June 2013 and IEEE SG4SC (SmartGrids for SmartCities) held in Paris, October 2016. Dr. Hadjsaid has published over 250 scientific papers in international conferences and referred journals, 3 patents and 1 industrial License, has authored/co-authored and directed 7 books on power systems and Smartgrids. Throughout his career he favored the interaction between academia and industry, knowledge dissemination, innovation, and always being community service driven. He has shown the capacity to detect and foster new activities, and demonstrated ability to build national and international-level partnerships with various stakeholders: government, industry, academia, consultants and scientific associations. Scientific Board member of the French Society of Electrical Engineers (SEE) and the French National Science Agency. EU Stakeholder Advisory Board member of EU projects “GRID4EU”, “IRRIIS“,”CI2RCO”, and EU expert for EXaMINE project. He has been awarded for 7 national projects (with total budget over USD$70M), 8 European Projects (with total budget over USD$30M) and 25 industrial projects (with total budget over USD$18M). He has also the IEEE paper award (1997), the CRIS award recognition (2006), the IEEE/PowerTech (2013) outstanding Achievement award and IEEE/SG4SC Outstanding Achievement award (2016). Vice Chair EGETCC (Intelligent Grid and Emerging Technology Coordination Committee) since 2016. Member of the Board of IEEE French Section (1994-2009). Participation to numerous working groups, organization of several panel sessions and meetings of IEEE PES. IEEE is the world’s largest technical professional society that is appreciated by all scientists, industrialists, decision-makers, regulators, and students worldwide. I am particularly proud to have served IEEE since 1994 in many ways from simple volunteer to organizing and chairing major IEEE events with special motivation for serving the community. The changing paradigm driven by new society stakes and energy transition challenges as well as the emerging technologies with growing digitalization are creating new needs and opportunities. This is the case, for example, for the issues related to smart cities, which make necessary to link interactive disciplines and related scientific fields to address these new needs for the service of the citizen and the community. IEEE is already well positioned to contribute and expand its service offer to the entire IEEE community and beyond to fulfill these emerging needs. I am therefore particularly motivated to contribute to the development of IEEE and to make at the disposal of IEEE all my professional experience acquired during the last 30 years whether it is in the service of IEEE PES or in my leading industrial- academic research structures and related collaborative projects. My sense of organization and leadership strengthens me in this candidacy to serve specifically for the office of PES Treasurer. If elected, I will not spare my efforts to contribute to the success of IEEE PES by fostering activity grow, seizing new opportunities, encouraging interaction between the different related communities, complying with the board’s objectives, and keep cost control and transparency in the service of all IEEE members. Finally, having always interacted with large international scientific networks worldwide, I will contribute to the international shining of this leading knowledge society. The GB has been very pleased with Dr. Bian's performance as Secretary during her 1st term and has determined in the best interest of PES to appoint her unopposed for a 2nd term. 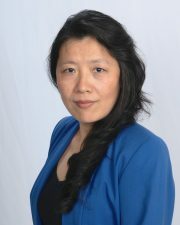 Jessica Bian is a visionary leader and architect. She has spearheaded electric industry’s reliability metrics and grid risk assessment. She is currently with the Federal Energy Regulatory Commission (FERC). Prior to FERC, she was the Director of Performance Analysis at the North American Electric Reliability Corporation (NERC). Under her leadership, a total of 18 industry-wide reliability indicators were established first time to determine bulk power system reliability, adequacy, and associated risks. She is widely recognized as a pioneer and trusted world leader in the field. Before joining NERC, Bian was with PJM Interconnection, ERCOT and Westinghouse Electric. She earned her Ph.D. degree from Tulane University, M.Sc. degree from Electric Power Research Institute, Beijing, China, and B.Sc. degree from Taiyuan University of Technology, China. Bian published over 70 articles. She received the 2014 IEEE PES Wanda Reder Pioneer in Power, and is a senior member of the IEEE. The PES is the home to the world’s most innovative and hard-working leaders in the power and energy field. The industry is experiencing significant changes, including the increased availability of natural gas, the growth in renewable, and demand-side and storage technologies. My goal is to be a catalyst of action and a messenger of the future, empowering PES members to adapt the changes and creating opportunities for young engineers to advance their professional careers. Successfully addressing these challenges will require every member to join together in developing creative, socially responsible solutions—that simultaneously honor the unique interests of each. The last two years I have served as secretary of PES. I am honored of being nominated for the second term, as secretary of PES. I would continue to help each member maximize the benefits from involvement with this undisputed internationally leading technical association. Specifically, I would bring my thoughtful, yet optimistic approach to the role, as well as my commitment to work toward bringing together members’ voices for the betterment of society.